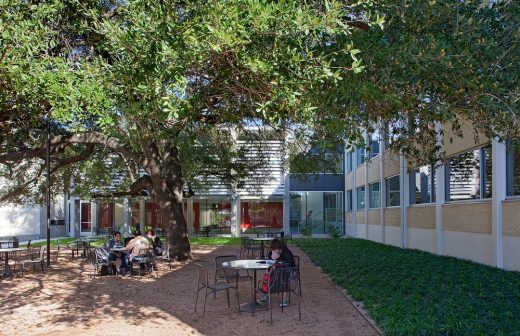 The Doyle Hall renovation and the New Classroom Addition create a campus courtyard, which is activated by the presence of a centuries-old live oak tree, a new cafe, and a year-round mix of student and faculty spaces. 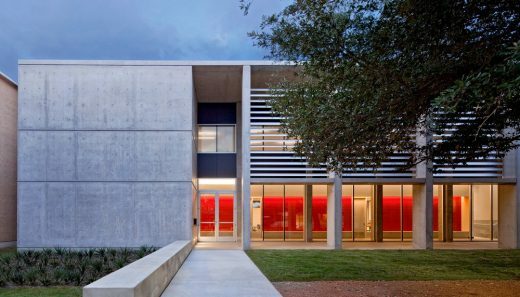 The New Classroom Addition takes cues from the existing 1950’s building with its exposed concrete structural bays and straightforward infill panels. 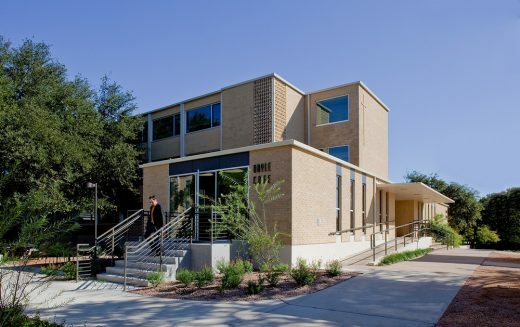 The New Classroom Addition creates a physical and visual link between the two existing buildings and brings students into the heart of the courtyard, “embraced” by the two parallel wings of faculty offices. 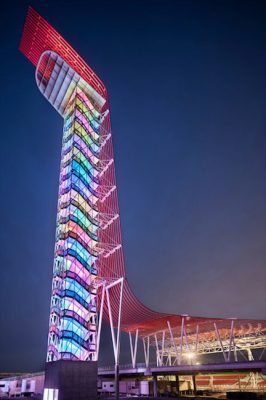 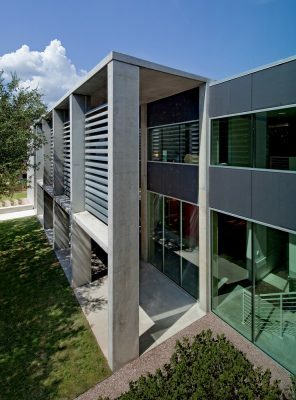 The architectural strategy was to restructure the space by deploying a “stealth architecture” that does not call attention to itself, but works as a fabric binding the existing elements together and allowing them to be seen and used in a completely new way. 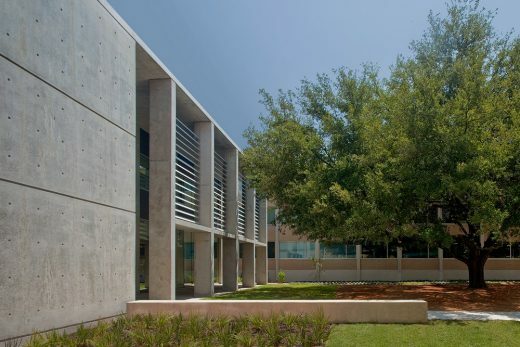 The architectural solution thoughtfully mixes old with new, enhances the existing buildings, and engages the landscape, while providing a place of learning, study and fellowship to all students and faculty. 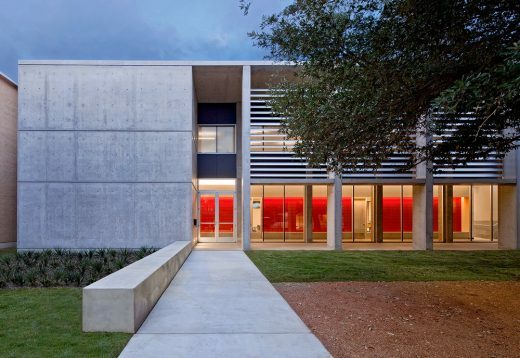 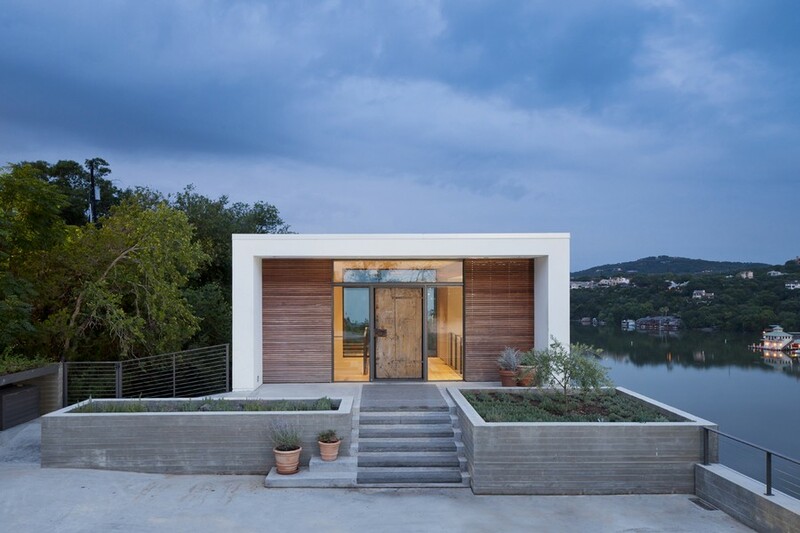 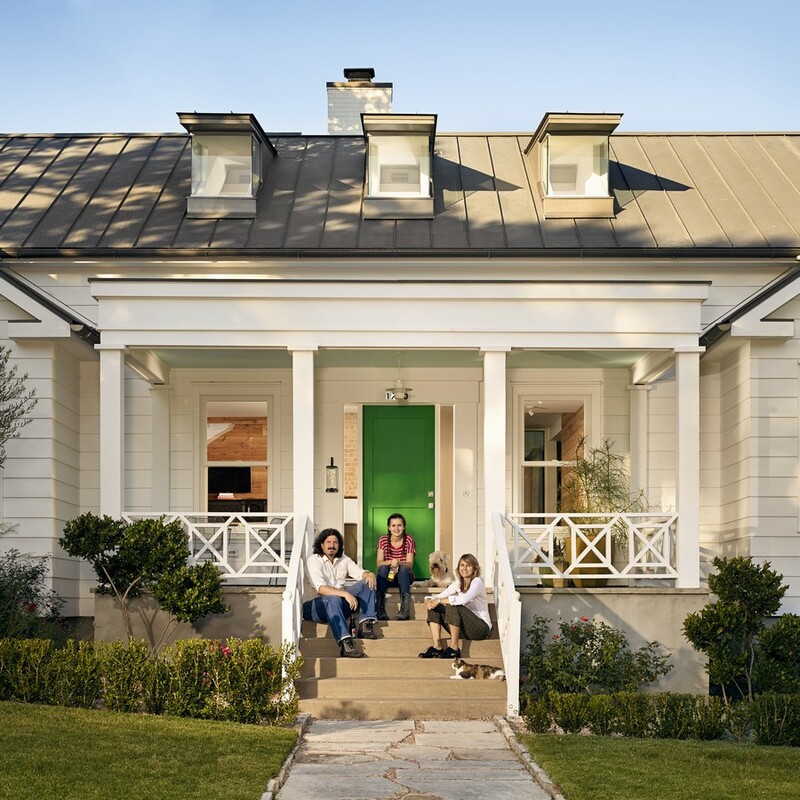 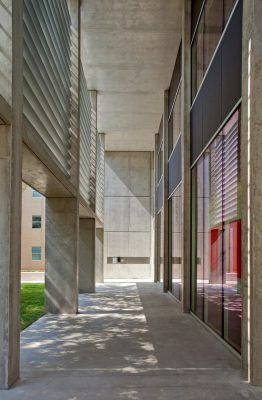 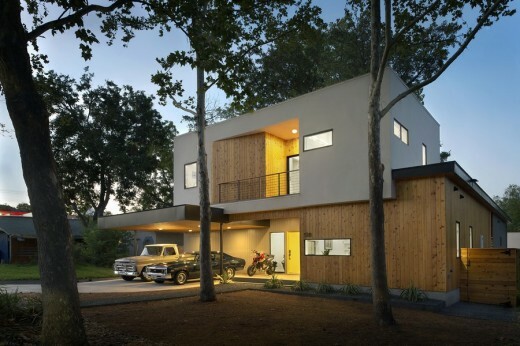 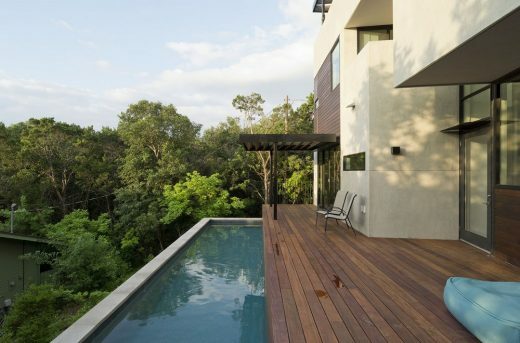 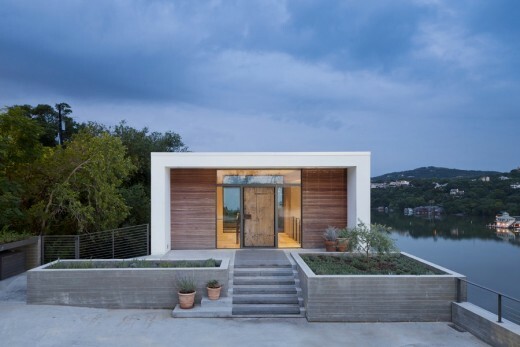 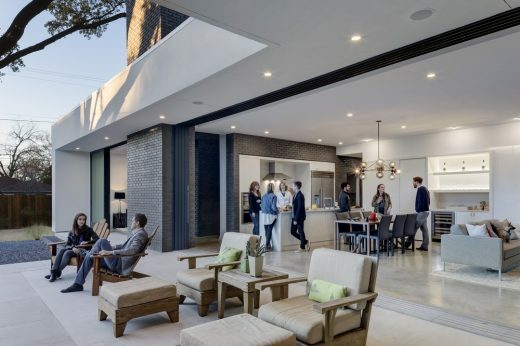 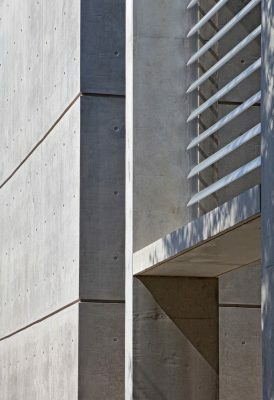 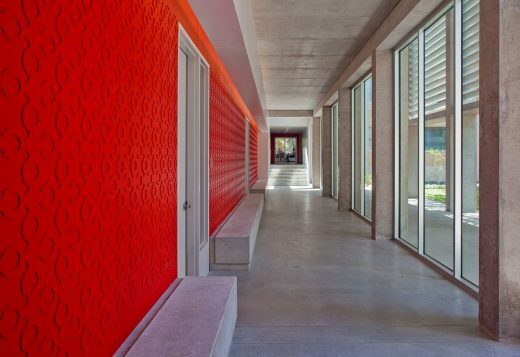 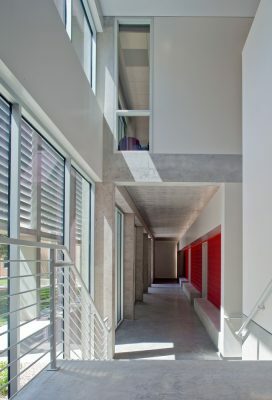 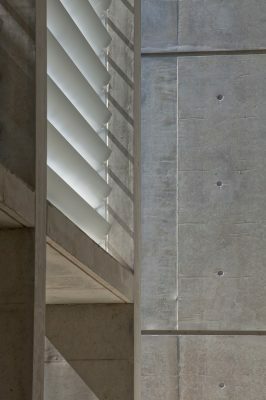 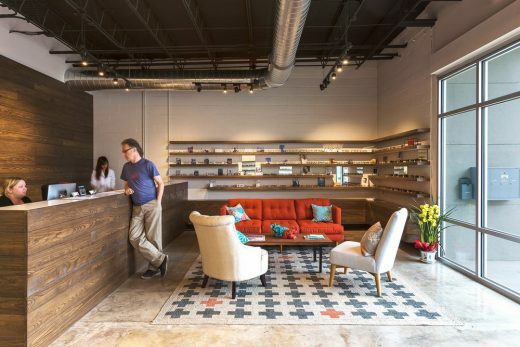 Poured-in-place Concrete: Texas Tilt-Wall Inc.